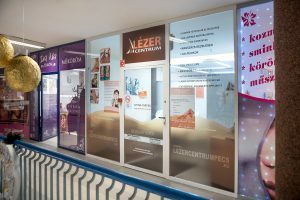 We welcome our kind clients on the 2nd floor of the Pécs Forrás Shopping Centre. Reservations are made by prior check-in. 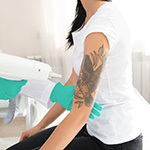 Genius 15 Q-switched ND- YAG laser tattoo and nail fungus removal appliance for an even more effective color tattoo and liver spots removal! Additional new services: face rejuvenation, nail fungus removal. Estetic Line Duo E-light and SHR hair removel appliance for a more effective and longer lasting hair removal! 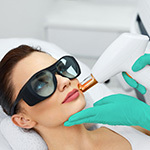 Additional new services: rosacea and acne treatment.